Ghost Town Wednesday: Bethsheba, Oklahoma — No Roosters Allowed! 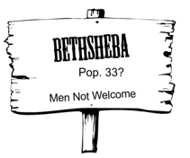 Today’s ghost town (spelled either “Bethsheba” or “Bathsheba”) may or may not have existed, according to some. Purportedly, in 1893 an all-female village was established in Oklahoma in an area called “Cherokee Strip”. These women so vehemently scorned men that they didn’t even allow male animals in their settlement. Some historians believe that the “myth” of this all-female village (which only lasted three weeks) was fabricated by a Kansas reporter. However, it seems no one has ever been able to pinpoint just exactly where Bethsheba was located. This humorous and informative article has been enhanced and published in the May 2018 issue of Digging History Magazine. Preview the issue here or contact me to purchase the individual article. 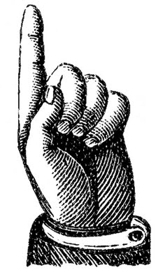 I invite you to check out Digging History Magazine. Since January 2018 new articles are published in a digital magazine (PDF) available by individual issue purchase or subscription (with three options). Most issues run between 70-85 pages, filled with articles of interest to history-lovers and genealogists — it’s all history, right? 🙂 No ads — just carefully-researched, well-written stories, complete with footnotes and sources.